Portsmouth High School is one of the leading independent, all-girls’ schools on the south coast of England. 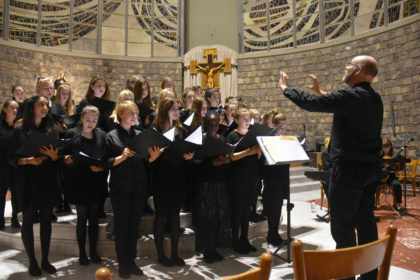 Since 1882, the school has educated generations of girls and has established an outstanding reputation for musical excellence. Girls from the school have gained success in music festivals and competitions throughout the UK and many of the girls go on to study music at university and pursue careers in the music industry. Recent music tours have included performances in Southern Italy, Belgium, Salzburg, Paris, and Cuba. This group of 37 musicians is excited to be performing in Hungary for the first time.